Hi guys! Hope you had a great weekend. 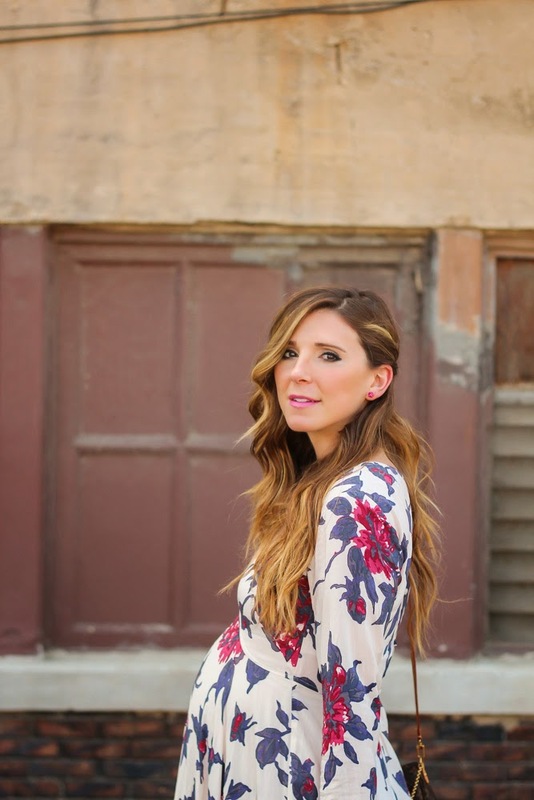 Today I am teaming up with the darling, Aubrey from Aubrey Kinch Blog to showcase maternity fashion. As expecting mamma’s we are all about comfort, while still looking fashionable. With the warmer Summer temps, dresses seems to be our go to, so it only made sense for us to showcase some fun summer dresses. 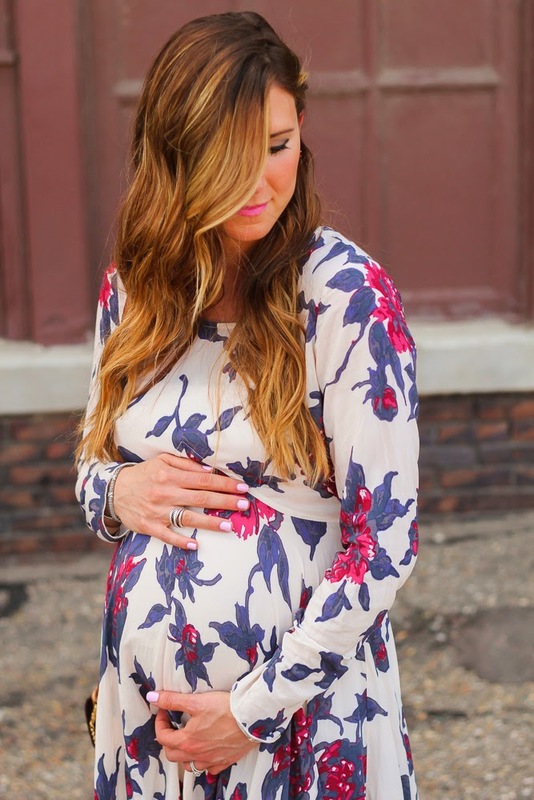 Make sure to swing by Aubrey’s blog to see what dress she styled for her ever so cute baby bump. I am sharing a look I wore over the weekend to a wedding. 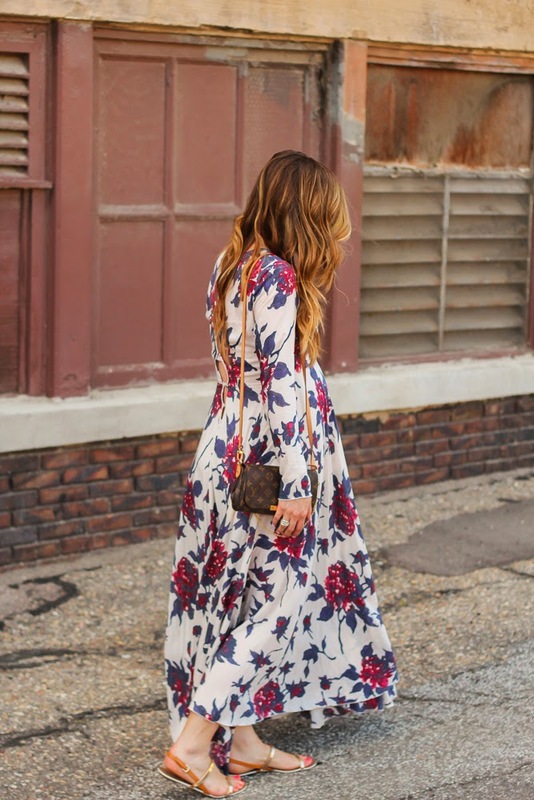 When I was shopping for a dress to wear, I really wanted to get something that I could wear post baby bump. I have tried doing this throughout my entire pregnancy, aside from some maternity clothes essentials (jeans, bras, tanks). I tend to look for options that are flowy, and a bit over-sized. 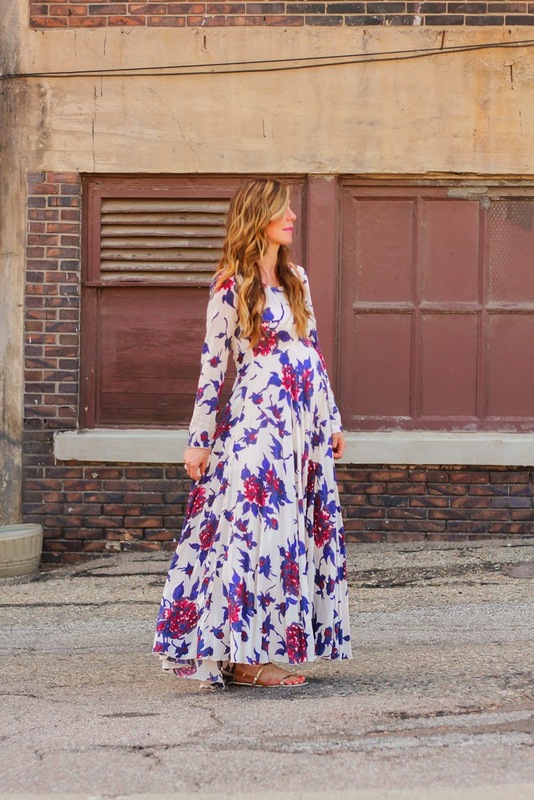 This Free People dress is non-maternity and the fit is perfect for the belly bump. It ‘s fitted right under the bust and accentuates the small of your waist. I loved the print and detailed back. 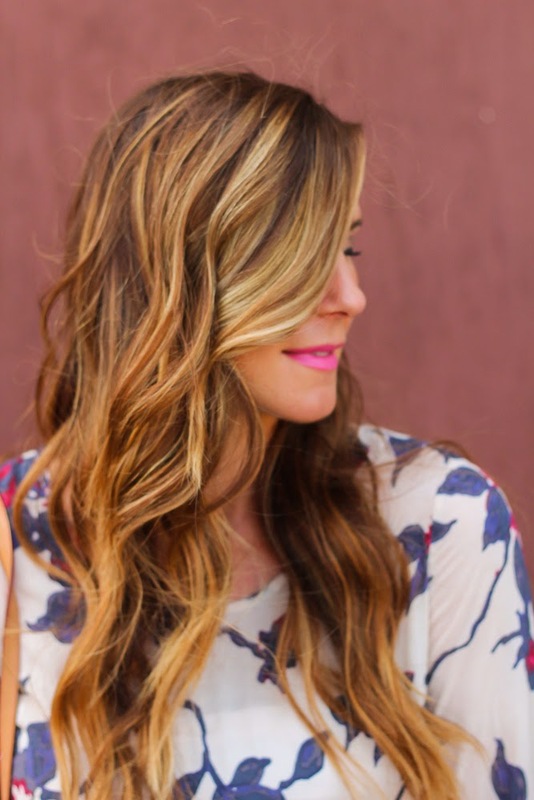 What are your tips when shopping maternity? You look gorgeous, that dress was made for you. If you get the chance, join my linkup today to share your amazing post. Thanks Celyn, so glad you stopped by! You look gorgeous! I really like this dress, it's beautiful! You are too sweet, thanks Laura! This dress is beautiful! Total score that it's non-maternity. Too good of a dress to not wear again in the future! Love the little cutout in the back. Perfect wedding look. You look gorgeous! Right!? Thanks for stopping by, as always love hearing from you! Oh my goodness! That dress is gorgeous on you!!! Beautiful photos!! Oh I'm in love with that dress, it's so beautiful! I am a total sucker for anything Free People Love this dress – it looks fab on you! I am the same way! Thanks for stopping by Jennifer! Such a pretty dress! You look beautiful! Stopping in from the link up!